Signs have been erected on a Lancaster Bridge after a rise in the number of people threatening to take their own lives. Lancashire Police say there have been 18 incidents on Carlisle Bridge on the river Lune within the last 12 months, with seven recorded in November 2018 alone. The issue has been raised by Lancaster and Fleetwood MP Cat Smith, who has joined forces with listening charity The Samaritans to try to improve safety. Network Rail, which owns the bridge, has now agreed The Samaritans can place signs on the bridge offering listening services to anyone in distress. Ms Smith said: “Depending on tidal flow there is a drop of almost 60ft off the bridge and the barrier is only 5ft. “It’s time safety was improved so people don’t see the bridge as a place where they can go to cause themselves harm. She said the issue of increased incidents are a direct result of the government’s underfunding of mental health services. It’s a national scandal,” she said. “In addition our already overstretched police officers are now being forced to spend hours looking after people facing a mental health crisis because there aren’t enough clinical resources available. 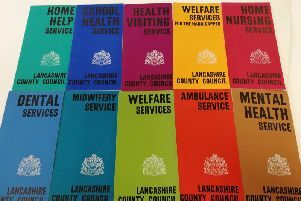 Lancashire Police said it was facing “unprecedented levels of demand” at a time when public sector cuts meant many patients are not getting the help they need in time. Almost half the adults arrested in Lancashire have mental health illness. More than 10,000 people detained by police in a single year had suffered with problems with their mental health or been diagnosed with learning difficulties. The figures, uncovered following a Freedom of Information request, have sparked warnings the police are being left to “pick up the pieces” amid a growing mental health crisis. Network Rail says it is considering how to fund and implement improvements to public safety on Carlisle Bridge.